Proudly serving the Twin Cities, Greater Minnesota, and Western Wisconsin with offices in St. Paul, Bloomington, Burnsville, Vadnais Heights, Chanhassen and Woodbury. Dudley and Smith, P.A. is a Minnesota law firm practicing in most areas of law and serving clients across Minnesota and Wisconsin. Our firm has attorneys with extensive experience in many topics, and we have clients that go back many years, since our founding in 1952. We are committed to your case or situation. Dudley and Smith, P.A. represents individuals and businesses in all aspects of life. Among our topic areas are consumer issues, real estate, family law, wills and estates, financial distress, bankruptcy, business law, criminal law, personal injury, administrative law and litigation. Our fees are competitive and fair. Dudley and Smith, P.A. knows the court system and has appeared in courts for years. We practice in all Minnesota courts, both state courts and the federal court. We also appear in the Wisconsin State Courts and in the federal court in the Western District of Wisconsin. Dudley and Smith, P.A. believes in justice and will help you attain it. We operate with the firm belief that your case is special. Please contact us to serve you. Providing bankruptcy as well as appeals, business law, consumer law, criminal defense, debt collection, environmental law, estate planning, family law, guardianships, conservatorships, homeowners association, insurance, juvenile, landlord/tenant, litigation, personal injury, probate and wills, real estate, taxes, trademarks, workers compensation, and USDA grant appellate work. Joseph Dudley was born in Washington, D.C. in 1945 and served in the U.S Air Force (Vietnam) and graduated from the University of Wisconsin in 1972. He received his law degree in 1977 from Hamline University, in St. Paul, Minnesota. Mr. Dudley has practiced law in Minnesota for 36 years in the areas of commercial litigation, general litigation, financial institutions, banking, insurance claims and special personal injury actions, franchise, purchase and sale of businesses and commercial property, transportation, corporation and limited liability company formations, all aspects of corporate and limited liability company, partnership, operations, documentations, and maintenance, shareholder disputes in both corporations and limited liability companies, IRS and State tax issues, USDA appeals nationwide, arbitration, mediation, and appellate work. Mr. Dudley practices in all Minnesota District Courts, Federal District Court and the Western District Federal Court of Wisconsin. Mr. Dudley is a member of the Ramsey County Bar, Minnesota State Bar, Federal Bar and American Bar Associations. Katherine grew up in Minnesota and has lived here most of her life with the exception of her time at the University of North Dakota School of Law. She was a dedicated student who graduated and passed the Minnesota Bar Examination to become a lawyer by the age of 24. She has worked exclusively as a personal injury lawyer since that time. Christopher W. Boline practices business and commercial law, civil litigation, appellate work, real estate law, consumer law matters, personal injury, USDA appeals, and administrative law. Christopher received his J.D. from William Mitchell College of Law in St. Paul, Minnesota. During law school, Christopher served as a certified student attorney in a Hennepin County suburban court, was an extern with a Hennepin County District Court judge, and received recognition from the Minnesota Justice Foundation for his time devoted to public service. He began working for Dudley and Smith, P.A. as a clerk during law school. John C. Lillie, III is a trial attorney practicing in Minnesota State and Federal courts since 1998. 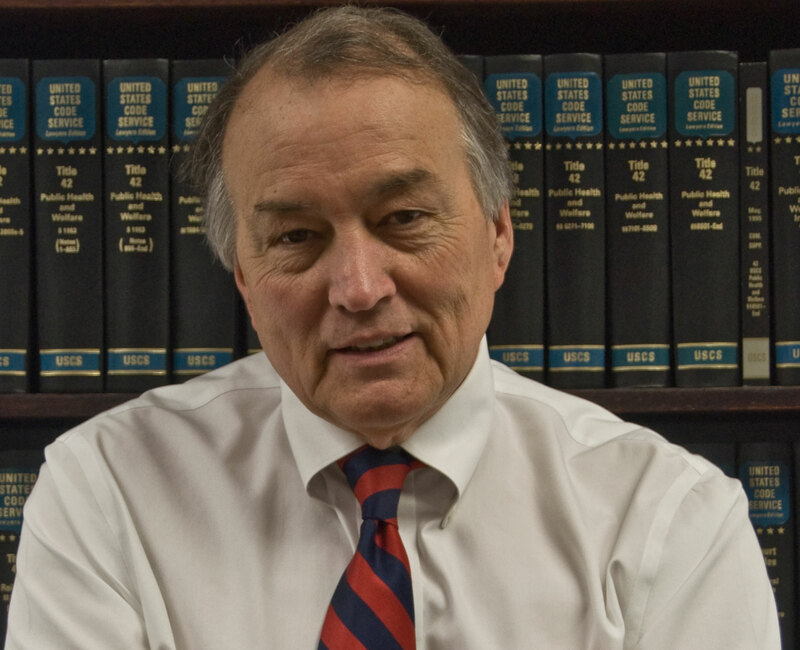 John has tried criminal, juvenile and civil cases all over the state of Minnesota from petty traffic offenses to attempted murder, along with complex civil litigation matters.